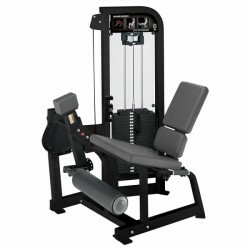 The leg press of Hammer Strength by Life Fitness offers ideal conditions for a very effective leg training with one of the most popular fitness machines in each fitness gym. The sitting position and the angle of the seat rail are based on biomechanic features and provide smoothness together with the maintenance-free stainless steel rail. The Select Series of Hammer Strength by Life Fitness is exclusively designed for the use at commercial fitness institutes. The commercial leg extension machine of Hammer Strength by Life Fitness provides the possibility of a professional leg training of highest level and with a maximum comfort. The adjustable back and thigh upholsteries allow an individual adjustment and stabilise the posture at the same time. The Select Series of Hammer Strength by Life Fitness is exclusively suitable for the use at commercial fitness institutes. 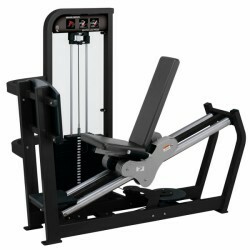 The Hammer Strength Select commercial multi-gym Leg Extension is an essential fitness machine of the commercial Select Series of Hammer Strength by Life Fitness. The leg extension exercise is a fundamental part of the progress in strength training. All required adjustments for leg training can be comfortably done in the sitting position. 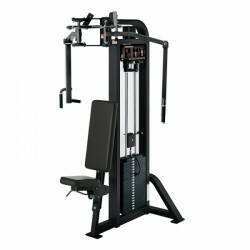 The Chest Press of Hammer Strength by Life Fitness is one of the most essential machines of the Select Series. 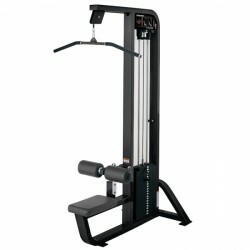 The professional machine of high-quality workmanship can be found in many fitness gyms all over the world. 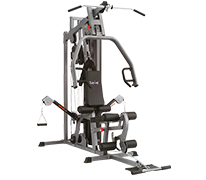 Its five times adjustment of the pressure lever makes a special training of different parts of the chest muscles possible - that's the particularity of the chest press. The HAMMER STRENGTH by Life Fitness multi-gym Select Fly Rear Delt combines two different and very important exercises of professional fitness training. You can do the very popular butterfly exercise (chest muscles) or vice versa train the lateral and and rear shoulder muscles with the reverse-butterfly exercise. The Select Series of Hammer Strength by Life Fitness is exclusively suitable for the commercial use. The chest muscles can be holistically trained with the multi-gym Pectoral Fly of Hammer Strength by Life Fitness. The sturdy workmanship, the used materials, and the comfortable upholsteries of the Select Series offer a professional fitness training of highest level. 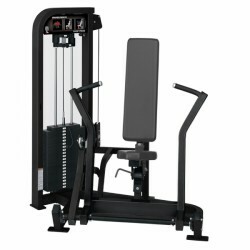 The HAMMER STRENGTH by Life Fitness multi-gym Select Biceps Curl Pult is a classic fitness machine for the isolated training of the arm muscles. The ideal use of the curl pult is given in the fitness gym or other fitness institutions. Due to its sturdy design and the high-quality workmanship, the curl pult easily resists higher loads as well. 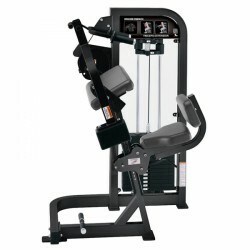 The HAMMER STRENGTH by Life Fitness multi-gym Select Triceps Extension is a fitness machine for the training of the triceps for commercial use. Thanks to its excellent ergonomics, the exercises for the triceps can be done in a very comfortable and very effective way. The easy seat adjustment provides a comfortable training for persons of each height. 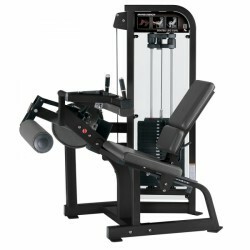 The HAMMER STRENGTH by Life Fitness multi-gym Select Full Lat Pulldown is an essential fitness machine for the commercial use. The training with a lat pulldown is one of the most effective exercises for strengthening the back muscles. 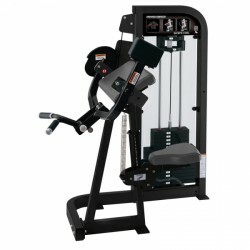 The very sturdy and attractive lat pulldown of the company Hammer Strength by Life Fitness can be easily adjusted and is equipped with a comfortable upholstery as well. 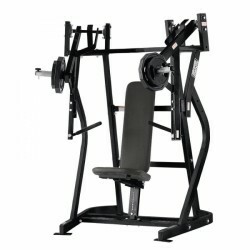 The HAMMER STRENGTH by Life Fitness multi-gym Iso-Lateral Bench Press is a classic fitness machine for the isolated training of the chest muscles. The ideal use of the bench press is given at a fitness gym or in other fitness institutes. 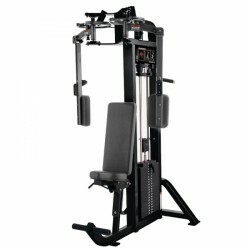 Due to its sturdy design and the high-quality workmanship, the effective multi-gym easily resists even higher loads. Chest exercises of highest level are possible!